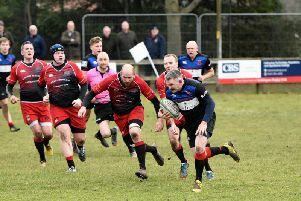 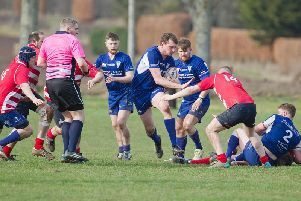 Berwick defeated Duns 36-12 at Scremerston on Saturday, with all the scoring done in the first half, to move a step close to the East Region 1 title. 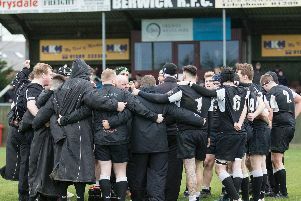 Berwick smashed bottom of the league North Berwick 50-0 on Saturday, despite players being missing through injuries and supporting their country. 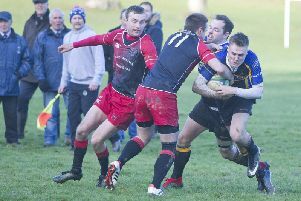 A ten try victory ensured Hawick Linden, newly crowned East League 2 champions, continued their winning ways against Earlston at the Haugh. 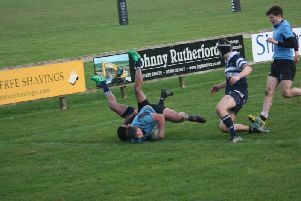 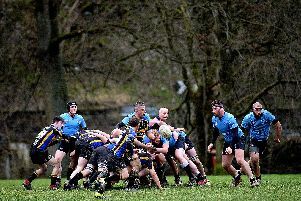 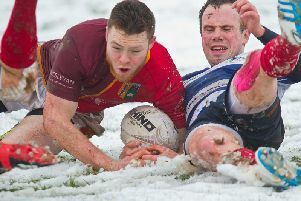 Duns entertained Hawick Harlequins at Castle Park on an unseasonally warm February afternoon, and despite surrendering a 14 point lead twice during a helter skelter contest pulled away in the final quarter to win by 57 points to 40 in a match of no fewer than 14 tries. 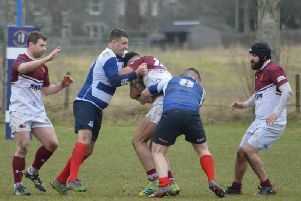 Earlston were defeated by 35 points on Saturday as Gala YM defeated the league’s second bottom side at the Haugh. 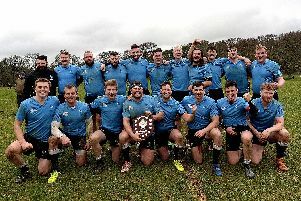 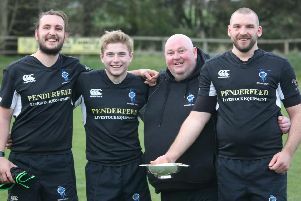 After losing in the final of the Border Shield to Hawick Harlequins for two consecutive years, Berwick got their revenge on Saturday. 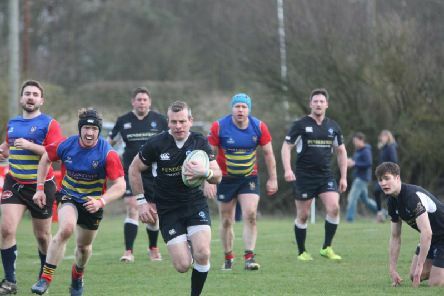 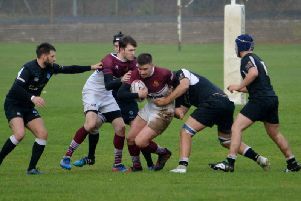 After a month without a fixture, Duns travelled to West Lothian to play Linlithgow in an East 1 fixture, and lost a highly entertaining match by six tries to four, despite dominating for long spells. 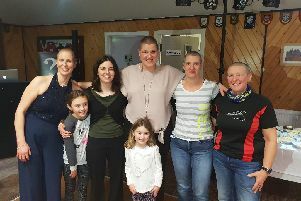 In February 2018, Amy Blake, mother of three children under the age of ten, was given days to weeks to live by doctors. 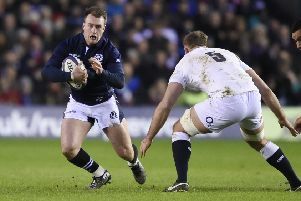 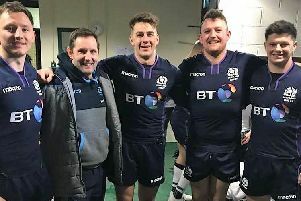 Scottish under 18 and under 20 rugby international, Patrick Anderson, from Gavinton, earned his first senior Scotland cap when he was included in the squad for Scotland Club XV. 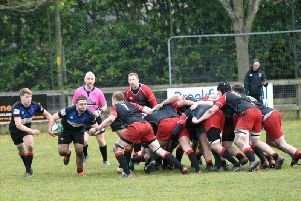 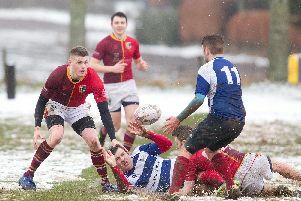 Duns entertained Royal High at Castle Park, the Edinburgh side's first visit to Duns for more than 20 years, and won a highly entertaining match with a last minute penalty goal after trailing 19-0 with 30 minutes gone. 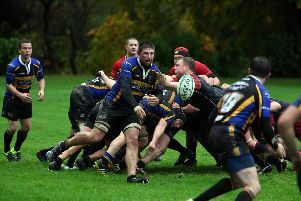 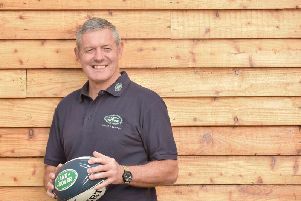 Sometimes in rugby a team high in confidence meets a team low in confidence and the outcome can be devastating. 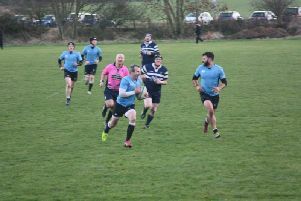 This was one of those games and Berwick produced 60 minutes of high tempo flat out rugby resulting in 16 tries and 13 conversions for Berwick against a solitary penalty by the visitors.